Maybe if he had more Wins and less Saverins! If I had a vote, Reynolds would be my No. 1 selection. He should have been in the Hall of Fame a long time ago. Reynolds was dominant in a relatively short career from 1942-54. He helped the Yankees win six World Series in his nine seasons with them. Reynolds had a 182-107 career record and sacrificed a chance for more wins by willing to be used as a reliever to help the Yankees win world titles. And he should not be penalized for that attitude that kept him from reaching 200 career wins. His Hall of Fame batterymate, Yogi Berra, has recently made a Hall of Fame pitch on Facebook for Reynolds. There should be a way of inducting Reynolds / Raschi / Lopat as an entry. Individually they're just HoVG, but collectively they helped the Yankees accomplish more in five years (1949-53) than any team in baseball history. Far more than any position player, they were the heart of that unmatched championship run. I got 100 pitchers lined up AHEAD of him. Hunter's teams had similar post-season success. Hunter was more dominant than Reynolds with a longer career and is usually thought of as being on or close to the in/out HoF border. Pass on Reynolds. Anybody else have a guy they know, rationally, shouldn't be in the HOF but you want them in there anyway? For me it's Dwayne Murphy. "BUT HE ONLY WON 18 OR MORE GAMES IN A SEASON 3 TIMES, MIKEY!!" Anybody else have a guy they know, rationally, shouldn't be in the HOF but you want them in there anyway? I'll repeat what I said in the previous 'Reynolds for the HOF' thread: "Why don't we just induct the entire Yankees franchise and be done with it?" Yeah, that's quite the sparkling 1.13/1 K/BB ratio he has there. If Jake Peavy got hit by a bus tomorrow, he'd be more deserving of the HOF than Reynolds. If we're handing out retroactive AS appearances, he deserves maybe three, and only has one CY-worthy season. Allie Reynolds was the best pitcher I ever saw when the chips were down. I find the compairson to Catfish Hunter pretty silly since Catfish was nowhere as versatile as Reynolds. And how Reynolds gets ignored for his work in the 1952 Series continues to baffle me. Oh, he lost a game. A game where he pitched seven solid innings of 5 hit, 3 run ball with several of the runs coming on cheap homers. With the Yanks down 2-1 in the Series he shuts out the Dodgers on 3 hits, striking out 10. This when strikeouts were harder to come by. Game 6 he relieves Raschi after Vic gives up a homer to Duke and a double to Shuba and gets the last four outs for a save in a 3-2 win making the Series even 3-3. The very NEXT day he comes in the fourth with nobody out and the bases loaded and pitches 3 innings. 20 innings. 18 strikeouts. 12 hits allowed. He had other moments. Plenty of them in fact. But that Series was his signature effort. On my Mt Rushmore of big game pitchers he's there with Pedro and Sandy. His Hall of Fame batterymate, Yogi Berra, has recently made a Hall of Fame pitch on Facebook for Reynolds. See, it never ends. Someone posted in another thread how Berra, et al, bragged to Rizzuto when he got selected "We got you in." So, let's say Reynolds gets in. And of course, Maris and Munson, and, when he's eligible, Guidry. Is that the end? No, They will then move on to Elston Howard, or Hank Bauer, or Tommy Henrich, and when those guys are in, Moose Skowron or Frank Crosetti. Reynolds had a 182-107 career record and sacrificed a chance for more wins by willing to be used as a reliever to help the Yankees win world titles...he should not be penalized for that attitude that kept him from reaching 200 career wins. OK, fine. Let's not penalize him. Give him 18 more wins. Whoop-de-do. Since when is 200 wins a HOF hook? From 1901 to 1990, there are 28 pitchers with 200 or more wins who are not in the HOF. As Sunnyday implies, there is probably a hundred guys more deserving than Reynolds. I mean, why Reynolds and not Billy Pierce? Because Reynolds has high profile guys lobbying for him and Pierce does not. When did Yogi Berra get on Facebook? More importantly, when did Tommy in CT move to Oklahoma? By the way, posters please note I am not advocating Allie for the HOF. Just recognizing that he was one h*lluva pitcher, particularly when the circumstances were TENSE. How about making some room for Bob Gibson and Dave Stewart? Dave Stewart is being forgotten, but, excluding his first WS and his last, he was money in the postseason. Well, considering that Oklahoma was Reynolds' home state, occasional articles like this from Oklahoma newspapers shouldn't be all that surprising. This is what home state newspapers do. The only problem with that is that none of those guys are going to be selected in a million years, and you know it. And it's not as if Hall of Famers on other teams don't talk up their old and unqualified teammates, it's just that Repoz's pinata eye is focused on the team he secretly loves. Harold Baines and Dave Stewart. Maybe BJ Surhoff. He sure as hell was, although the irony is that until that first great World Series game of his (the 1-0 shutout against the Dodgers to open the 1949 Series), when he came to New York from Cleveland he'd been carrying a reputation as a "choker", often with references to his Indian blood. Luis Tiant. Amos Otis. Rusty Staub. Bill Robinson. Willie Montanez. More recently, Jose Rijo. And it's not as if Hall of Famers on other teams don't talk up their old and unqualified teammates, it's just that Repoz's pinata eye is focused on the team he secretly loves. No, and I said as much in my post. With Morgan and Bench, it was first Perez, and now Concepcion. Id Davy somehow gets in, I'm confidant they won't shut up, but will move on to Foster. Brian Downing. I don't think he should be in, but worse players have been elected by the BBWAA, and recently. C'mon, look at that peak. Peaakk!! Jack Morris. I know the ERA isn't there, but I always thought of him as a Hall of Famer when he was playing (and I was a kid) and I guess I always will. My guy would be Bobby Murcer, definitely not a Hall of Famer but a fine player who had some monster years in the early 1970s. He was hurt by the move to Shea Stadium, which caused him to be traded to San Francisco, where he hated that ballpark, too. I find articles that promote good but not dominant pitchers with unusual post-season success or singular moments for the HoF to be silly. I also find articles that argue "so-and-so good player was the starting pitcher/second-baseman/left-fielder/whatever on X World Series winners therefore he is good enough to be a Hall of Famer" to be silly; they tend to be from the franchises with the most post-season success (like the Yankees) for a good reason. Fred Carroll. Pete Browning. Arlie Latham. Buck O'Neil and Luke Easter. I think we can all agree on Moe Berg, too, right? David Ortiz is #1 on my "I wish he were a HoF but he's really not qualified" list. This is far from impossible. He needs a couple more big seasons... but hey, he's not ancient at 36 and he was 4th in the league in OPS last year, so why not? He's certainly one of the "major figures in baseball" over a span of about a decade, and that is going to help him a lot in terms of writers' voting. Also Lefty O'Doul (MLB career + PCL career + baseball ambassador-ness). Couple of other PCL greats: Frank Shellenback and Buzz Arlett. EDIT: OK, Ray Dandridge should be elected to the HOF again, because he was just that awesome. Delgado and McGriff actually have legitimate cases already. I'd vote for McGriff with no hesitation. Criminally underrated, and one of the best players in the game from 1988-1994. The 94 strike is the only thing keeping him from getting elected, as without it he would've topped 500 homers without steroid allegations. My pick is Edgar Martinez, who as a DH and with his late start probably doesn't have enough career value to deserve enshrinement. But he was an awesome player and seemed like a nice guy and his numbers are close enough that I want to see him elected anyway, counting stats be damned. Man, I wish they'd put Gary Carter in. Jack Morris, Will Clark, Kirk Gibson, Chili Davis, Dave Parker, Frank White. Gooden and Strawberry, kind of, too. 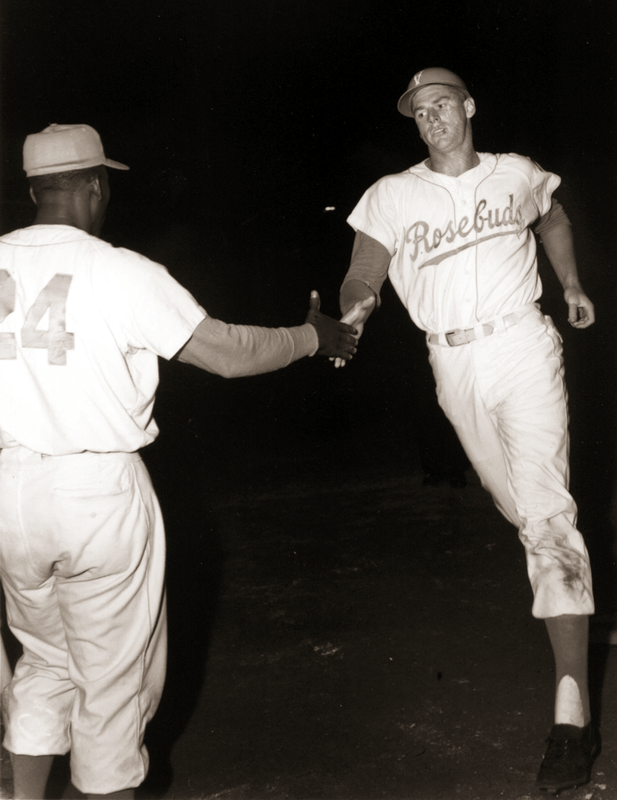 OK, Ray Dandridge should be elected to the HOF again, because he was just that awesome. And Bob Dandridge is criminally underrated in basketball circles. What are the odds???? David Ortiz and Dwight Evans. Reggie Smith. I also have a fondness for Harold Baines. I'm sick and tired of guys like Albert Belle not being in the HOF. Albert Belle and Juan Gonzalez too. They didn't have the longevity to deserve even a sniff at the HOF, but they were scary hitters in their prime and really fun to watch. The aforementioned Nomar, too. Very rare for a shortstop to put up those kinds of numbers, even for a little while. Of all the burnouts of the last 20 years, he was the most disappointing to me. The 94 strike is the only thing keeping him from getting elected, as without it he would've topped 500 homers without steroid allegations. It would have improved his chances, but he'd still have an uphill climb. Ron Cey would be mine, maybe Rick Sutcliffe until he started broadcasting. Jon Matlack and Jerry Koosman. Only cuz he had five of his best seasons during the modern deadball era of 1988-1992. People forget just how low offense was and don't realize how impressive McGriff's 35 homers, 100 rbi, and .285/.380/.530 line was every year. Ignoring these years is the same reason Will Clark was one and done on the ballot. He deserved better too. The HOF has been very good about electing Phillies, but if I had to pick one it would probably be Gavvy Cravath. Great half-career after age 30. And when you look at his stats from his twenties playing for the Minneapolis Millers and the Los Angeles Angels (see their 1904 roster here), it makes you confused. Was the competition in the PCL that much stronger than the NL in the 19-dickety-zeros? Harold Baines and Pat Moran. Oh, and Wildfire Schulte. Because his name rocks. Steroids have been around since the '70's, at least. I've never understood why everyone acts like they were exclusive to the '90's and early 2000's. And they're here to stay, unfortunately. Sorry, but it's true. Might as well get used to it. Oh, maybe you're right. I'm just so confused. If only Mike Lupica would tell me what to think. Ignoring these years is the same reason Will Clark was one and done on the ballot. He deserved better too. Well, his performance deserved better... All indications are that he was kind of a douche. Plus - he gets the same treatment all of the '84 Padres (except Tony Gwynn) and the 2003 Marlins (except D-Lee) get from me for the way he destroyed the Cubs in '89. Dave Justice. Cool name, beautiful swing, ROY award, a signature moment (1995 Game 6), played on some great teams. Bobby Bonds. Ken Singleton. Edgar Martinez. For active players who shouldn't rationally be in the HOF based on their reasonably extrapolated career: Jimmy Rollins. Three of mine are Andre Dawson (borderline), Bruce Sutter (doesn't belong) and Tony Perez (doesn't belong) -- who knew I had such influence? The names that come to mind are mainly borderline guys, often under-rated: Reuschel, Wynn, Nettles, Bobby Bonds. I don't think any of them will ever make it through any vets committee but, other than Reuschel, they're hardly unknown borderline cases. I guess I'll go with Cesar Cedeno who I still consider possibly the greatest player I've ever seen (1972-73). And there's an alternate universe where somebody actually bothered to teach Shawon Dunston (and Shawon bothered to learn) how to play baseball and he's a combo of Ozzie Smith and Rickey Henderson. Presumably Reynolds' teams have long been "inducted" into the Hall of Fame by winning the damn championship so many times. Wouldn't a real team player not care that much about personally being inducted? Scott Rolen. Doubt he'll get in, but I'd vote for him. You don't "beg" to get into the HoF by talking to your grandchildren. And anyway, Reynolds has been dead for almost 17 years. I'd love to live in a universe where Toe Nash is a HOFer. You know there'd be flying cars there. I know he's not finished yet, and still has a slim chance to make it and a slimmer chance to deserve it, but Paul Konerko. Bud Harrelson and Sal Bando. Without farm systems if an MLB team wanted someone from the PCL or the American Association or the International League, they had to pay that team (usually $, but you could trade player contracts)- and guess what a real good PCL/IL player may cost well more than his salary- so you could have someone who'd be a perfectly respectable MLB regular- bit instead stays in the PCL (as a star/minor star)- because his PCL owner wants more than any MLB wants to pay. Eventually of course PCl and IL and AA owners "enslaved" themselves (to use Bill James term) to MLB- they agreed to a fixed fee in exchange for player contracts- if an MLB club came along and offered that fee for a PCL club's best player hey coughed him up- it was insane- but at a time of financial distress a majority of owners agreed and the PCL/IL's days as independent leagues were essentially gone, then came direct affiliation with specific MLB clubs- and the minor league teams no longer controlled their own rosters at all, the MLB club dictated who was signed and who palyed and where and how much. Me. But that ship has sailed, so I guess it's my kid now. Do you mean '83 or did something happen in '81 too? I'm always amused when players who are about to be inducted say that even as a little kid they never dreamed of making the Hall of Fame. Sure, they pretended they were Major Leaguers and imagined winning championships but not the Hall of Fame. I always think they must not have had much of an imagination because I imagined it all the time. Well, good news! In 10-12 years, you'll likely get your wish! In '81 his dad was hit by a car and lingered near death for several weeks (maybe months, IDRE) before succumbing. During this sad time, Burns would fly home to Alabama to be with his dad. When his turn in the rotation would come, he would fly to where the game was, pitch, then fly back to Alabama. And he was great. Nettles,for his defense, though he's pretty close to the hall. C'mon, Mo was fat, but no need to get insulting. Bbc does that mean pat the bat makes your hall? When I ever imagined the career of a baseball player, it tended to end with the end of his career. Who cared about the HOF? I didn't imagine the five year wait either, or the slow dissipation. Even I had better things to do.